Multi-award winning M&A advisory and business brokerage firm for companies and businesses $1M to $100M in EBITDA. Technology and IP focused deals. Digital Media, Web Services, and Ad Technologies. Property Development, Building and Constructions Industries. Importing, Exporting, Logistic and Distributing. Car Dealers, Motorbike Dealers, and Boat Brokers. Contact us today if you would like to sell or buy companies or businesses $1M to $100M in EBITDA. Since commencing business over 35 years ago, Transworld Business Advisors (TBA) have grown to become the world's largest business brokerage group. With over 130 offices in US, Australia, Canada, UK, India, South Africa and UAE. And at the moment, more than 3,000 businesses for sale by us worth over $1 billion. We have the expertise and market reach to assist you. We're the go-to firm for anyone looking to buy or market a business for sale. Whether you represent an acquisition-minded corporation or are personally interested in owning your own company or new franchise, we offer the professional services that successfully bring buyers and sellers together, and manage all transactions from inquiry through to final sale to ensure we achieve the best value solution in good time. Alternatively, if you are looking to expand your business we can develop your business into a successful franchise. We maintain the highest ethical standards and are proud members of the International Business Brokers Association, the International Franchise Professionals Group as well as the NSW Business Chamber, St George Business Chamber. 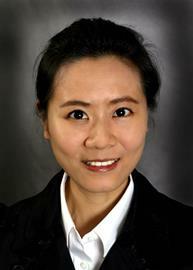 Brandy Wu, has a long and successful financial consulting career, and is qualified CPA and holds an accounting degree. She has maintained a solid track record of completing successful transactions that have delivered outstanding value for business owners across a broad range of industries. Masato Fujikawa, a 15+ years geographic expansion strategist including cross-border M&A in Indo-Pacific region, post-acquisition integration, and organic growth.